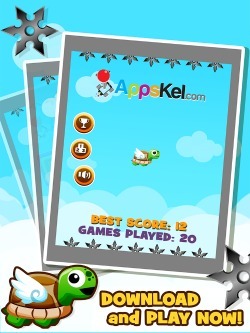 Click here to download Amazing Turtle Mega Jump on iTunes now! Peggy the turtle just got his wings! The heavenly clouds joyfully sings! Now his dreams to fly in the sky has come true! Far and high in the sky that is ever so blue! Turtles Mega Jump is a game starring our very own Peggy! Turtles Mega Jump is a challenging jumping and tapping game that will give you endless hours of pure hopping madness! Jump endlessly as far as your eyes can see! Peggy's shell might be heavy, but surely those wings have set our friend Peggy free! But the universe has not made it easy for Peggy! Hidden ninjas laid a trap for our mysterious mega jumping turtle! Oh! The challenges will never be easy! Now Peggy has to dodge and survive the traps set forth by the evil hidden ninjas! Can you mega dodge them all? Can you mega escape them all? Can you perform awesome mega jumps no other turtle could ever do? Can you outlast the ninja’s surprise star-blades and unleash Peggy's full potential? 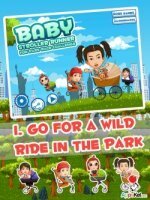 This endless jumping, dodging and tapping game will surely deliver you hours of hopping fun! Jump too high and you might hit the traps laid by the hidden ninjas! 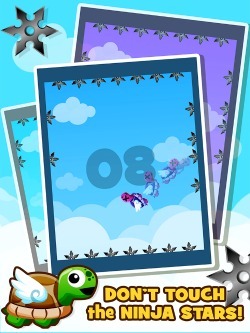 Fly too low and you might hit the super-unwanted ninja star-blades! Tap and jump, and tap and fly, try and try, and Peggy will never cry! Take Peggy and his newly found wings to endless heights! Dodge the star-blades the ninjas have set upon, by simply tapping for his flapping jumpin’ flight! Numerous achievements to complete that will surely be challenging and fun to finish! Discover the hidden potentials the game has to offer! and hide from the evil world filled with ninja star-blades? Never underestimate Peggy the flying turtle! but he's got a heart of real flying turtle, a mega heart that's never brittle. Do you have a heart as strong as Peggy? that Peggy is will never go down easy! Share your scores on facebook, twitter, SMS and email! Compete with the best Peggy users around the world with our leaderboards! 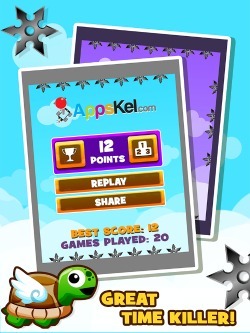 Compare your score and take the title of the best jumper of the most awesome flying turtle in the universe! Do you have what it takes to take down the top the jumper of Turtles Mega Jump? Improve your concentration, stay focused and never run out of patience. This are the true qualities of our very own Turtle Mega Jumper. A powerful combination that can leap you into mega scores! And most of all, Peggy wants you to have hours and hours of mega fun! 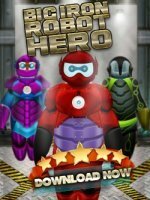 - This game is free to play and for all ages!